Practice Chapter 2: What is the UK? 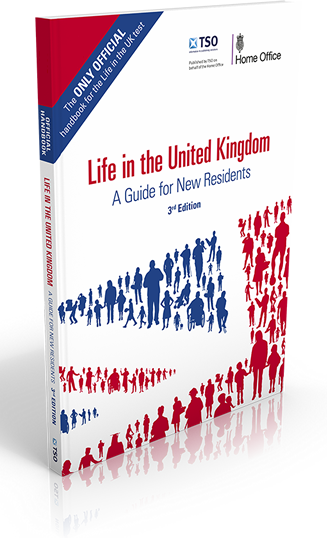 You can listen or download MP3s of the audio book 'Life in the UK: A Guide for New Residents 3rd Edition',. This is the official test book for the Life in the UK Test. You can read it below with the PDF versions at the same time as listening to the MP3s. If you would like to save a copy of this file then right click on the link and select 'save link as...' to download and save the file onto your desktop. Please make sure it is in PDF format to view the file. The material found on this page for the audiobook and book of 'Life in the United Kingdom: A Guide for New Residents .3rd Edition' is reproduced with the permission of Controller of HMSO and the Queen’s Printer for Scotland under Open Parliament Licence.